Most of the park’s campsites lie beneath majestic redwoods, with a few (at Devil's Gulch and Madrone) under oaks and bay laurel at the bottom of Barnabe Peak. Newly built cabins are also available. Reservations are highly recommended for regular campsites every day during peak season and on weekends year-round. Reservations are also recommended year-round for group sites and cabins. Please note that the Creekside Loop is off of reservations from December 1 thru February 22, 2019. The Creekside Loop will be available for reservations effective February 23rd 2018. The Orchard Hill Loop remains on reservations year-round. Samuel P. Taylor State Park’s 2,882 acres offer shady strolls through the stately redwoods along Lagunitas Creek as well as exhilarating hikes to the top of Barnabe Peak, one of the best viewpoints in Marin County. You can camp among redwoods, bike along the creek, explore easy-to-moderate hiking trails, watch salmon spawn, relax in the shady picnic area, and learn the story of its namesake pioneer. When you’ve finished all that, more adventures await just next door at Point Reyes National Seashore. Wheelchair-accessible South Creek Trail winds 1.5 miles through a fern-filled forest on the banks of Lagunitas Creek. In the rainy season, you might see spawning salmon and flowers such as fetid adder’s tongue, giant trillium, and redwood sorrel along the way. Creek access is closed from November 1st through May 1st each year to protect the spawning salmon and their offspring. The partly paved Cross Marin Trail bike path runs along Lagunitas Creek about three miles through the park. Nearly level, it follows the old North Pacific Coast Railroad right-of-way into the Golden Gate National Recreation Area. It’s the park’s only dog-friendly trail. The park lies 15 miles west of San Rafael on Sir Francis Drake Boulevard. Fees apply for day use, camping, and cabin rentals. To camp or picnic, use the Camp Taylor entrance. To hike up Devil's Gulch, park one mile west of Camp Taylor (in a large pullout on the left) and walk across Sir Francis Drake Boulevard. Samuel P. Taylor State Park enjoys a mild climate, varying from dense fog and rain to full sun. Summer and spring are usually 10 degrees cooler than in San Rafael. Fall and winter can be cold, with overnight lows around freezing and frequent rainfall. (Weather readings for the park are taken from Barnabe Peak and do not always reflect the cooler, damper climate of the campground and picnic area in the redwood forest.) Layered clothing is best. • Mushroom collecting is prohibited. 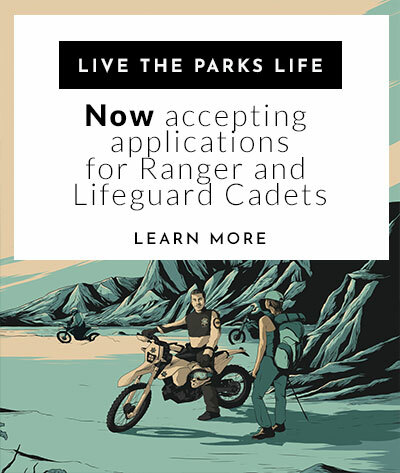 All resources within the park are protected by law. • Creek access/use is prohibited from November 1st through June 15th to protect spawning fish and their offspring. • Firearms and hunting are prohibited. • Dogs (except for service animals) are permitted only in campgrounds, picnic areas, on paved trails/roads, with the following exceptions. Dogs are not permitted in the Hike & Bike campsite(s), or in the cabin area. Pets must be on a six-foot or shorter leash and confined to a tent or vehicle at night. • Bicycles are allowed only on the Cross Marin Trail and on fire roads. They are not allowed on single-track walking trails. • Hammocks may not be hung from trees; all trees and plants are protected. • Poison oak can trigger a severe rash. Stay in developed areas to avoid the plant. • The park and its natural and cultural resources are protected by state law. Nothing may be disturbed. Stay on trails and respect signs designating trail usage. • Conserve water and report any leaks to park employees. For more information on the State's water conservation efforts, visit www.saveourh2o.org. • Drones are prohibited in Bay Area District Parks (including S.P. Taylor S.P.) per Park Superintendent Order. Although the reservation system currently allows you to make a reservation for two sites at the same time and for the same dates, the intention of this is to simply allow a family to camp together when their numbers would exceed the single family site’s occupancy limit of 6. Once the number of campers goes over the occupancy permitted for your 2 sites, you should obtain an appropriate sized group site. This includes, but is not limited to, weddings, family reunions, social and athletic clubs, educational providers and corporate groups. When a group site is not available on the date you want it or if your group size exceeds our largest site’s occupancy, it is not permissible to simply arrange to have several friends and family members reserve as many individual family campsites as possible in order to create new “group” site location. Here at Samuel P. Taylor State Park we have several sites available to accommodate a range of group sizes. This includes sites for 10, 15, 20 and even 50 people. Multiple site reservations as described above will be considered invalid and reservations cancelled. If you want to discuss possible options for your group outing, you should contact the park at 415-488-9897 prior to committing to any reservations. Bill's Trail, in its entirety, is closed for reconstruction - The planned construction will improve recreational access for hikers, equestrians and mountain bikers. The trail will remain closed during the project construction period and a required trail hardening period. Access to Stairstep Falls will not be possible during this closure. Access to Barnabe Peak will continue to be available directly via Barnabe Fire Road or by Gravesite Trail to Barnabe Fire Road. Due to weather delays the contruction period for this project will continue through the end of 2019. (trail const. delayed due to last winter storms). Pioneer Tree Trail - This trail is currently inaccessible to horses. Several trees are down on the trail but can be climbed over by hikers. North Creek Trail - This trail is not passable due to the washout of a portion of trail and a bridge. The trail can still be used to connect from Madrone Group Camp to Camp Taylor. All other trails are currently open. 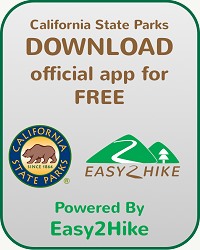 For the most current trail information or to report trail concerns please call the park at 415-488-9897. The park is 15 miles / 30 minutes west of San Rafael on Sir Francis Drake Boulevard. If you are planning to camp or picnic, look for the 'Camp Taylor' entrance. Those planning to hike out of Devil's Gulch should continue 1 mile west of 'Camp Taylor' and park in the large pull-out before walking across the street. The park dump station is out of service. RVs/trailers will not be able to fill their water tanks at the park. This service reduction will continue indefinitely due to budget restraints. Dump facilities and water are available for a fee at the nearby Olema RV Resort & Campground. To organize weddings, athletic events, large gatherings, or other special events, please contact: dkopler@parks.ca.gov.